Bak Chor Mee (肉脞面) literally means “minced meat and noodles” in the Teochew dialect. 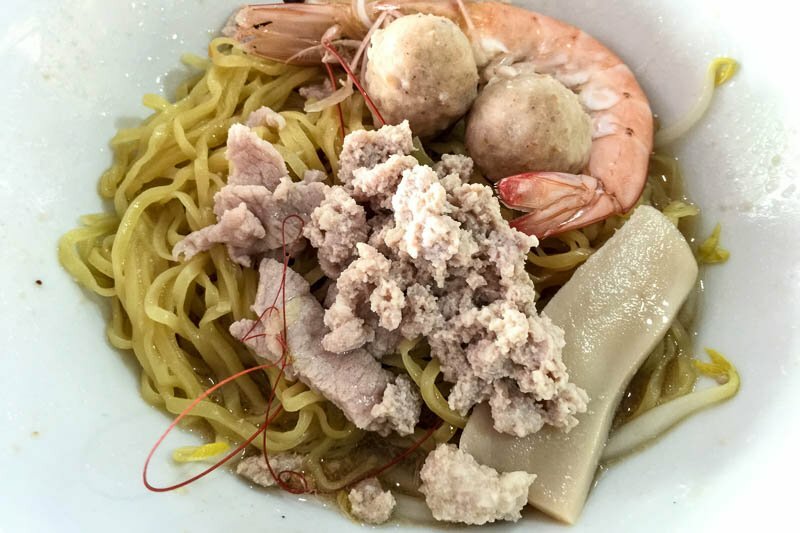 Originally a soupy dish – minced pork in broth served with mee pok (flat egg noodles) or mee kia (thin egg noodles), the “dry” version – noodles tossed in vinegar, pork lard, and chill with just a bit of wetness and soup served on the side – is now more popular. The origins of this dish can be traced back to early immigrants from the province of Teochew. 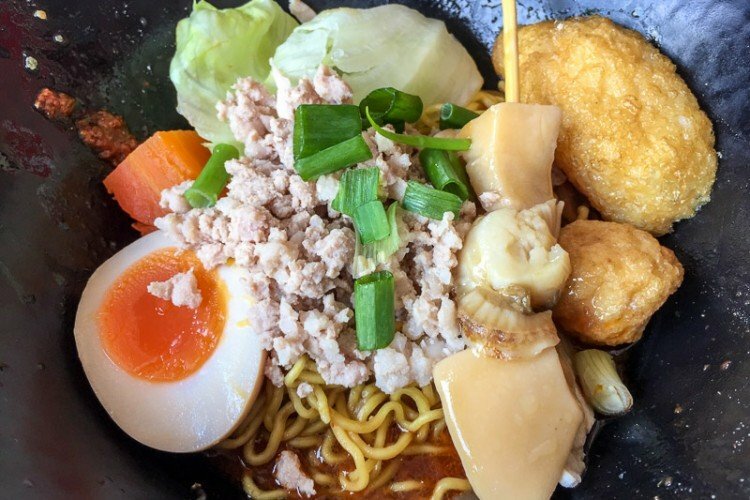 Bak Chor Mee is as uniquely Singaporean as it gets since it is not readily available anywhere else in the world (unlike Chicken Rice and Chilli Crab). In fact, this dish is so popular that hybrid versions have been concocted with the pork liver substituted for prawns or/and the pork balls replaced with wantons. 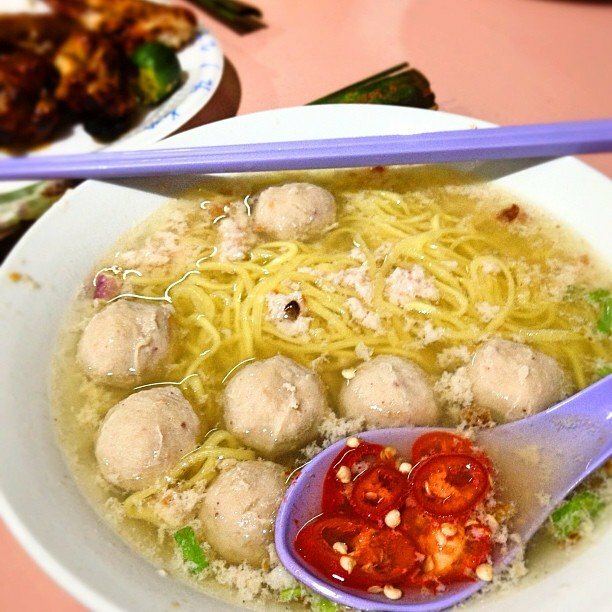 Other variations are essentially fish ball/cake noodles with minced pork and no other ingredients. However, the purist version of the dish will always have fresh sliced pork, pork liver, pork balls, pork dumplings and minced pork. 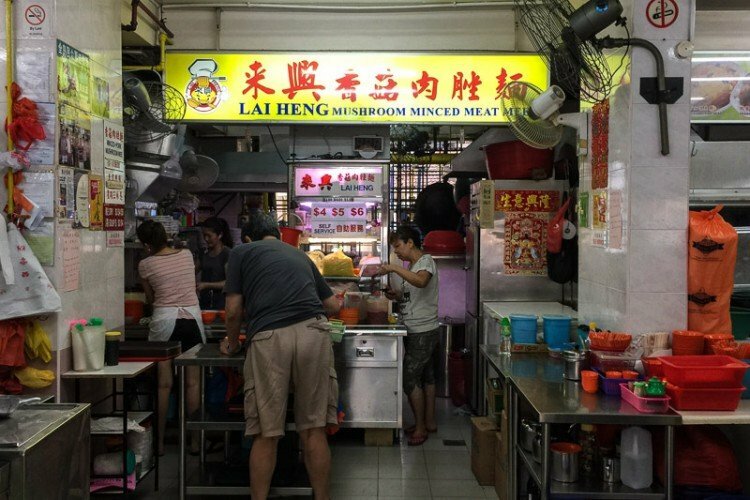 The best Bak Chor Mee (肉脞面) stall in Singapore has been the subject of contentious debate among local foodies alike. In fact, Singaporeans can be more vocal about food than partisan politics. Aficionados will swear by a particular stall and belittle everything else as being inferior. 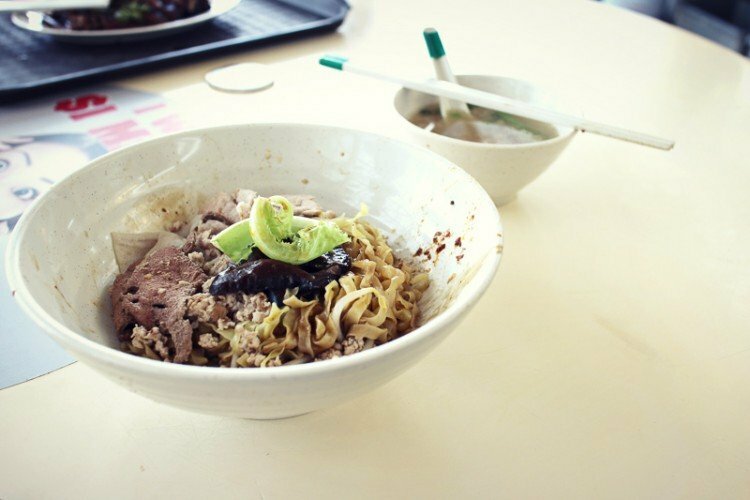 Here are 12 best Bak Chor Mee stalls in Singapore (sorted alphabatically) worth paying a visit to. 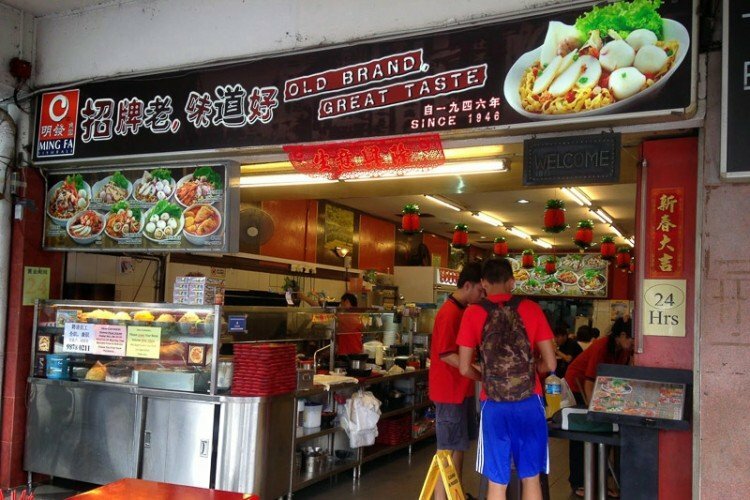 Popular among Toa Payoh residents, this stall serves up a pretty good bowl of Bak Chor Mee. Perhaps it’s the lack of decent alternatives around Toa Payoh but as faultless as it was, there wasn’t a wow factor that made the 40 minute wait worthwhile. Still, a must try if you’re a resident in the area. 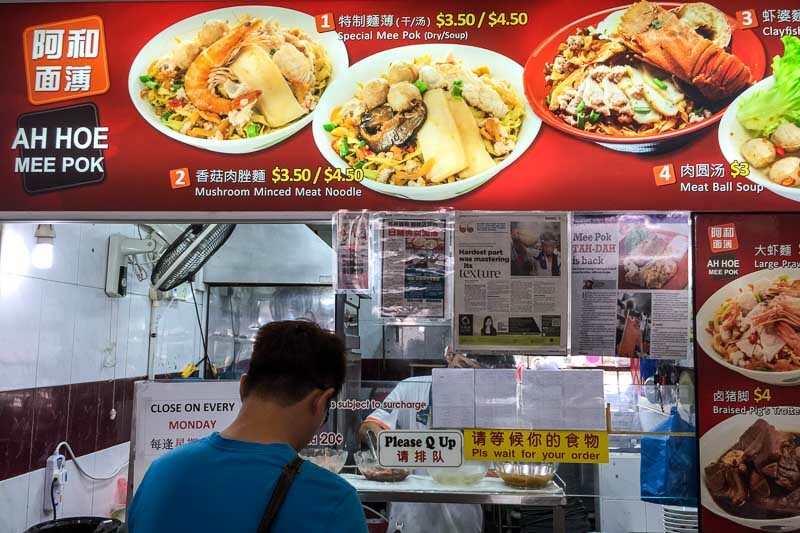 This stall is the third and often overlooked one at Bedok 85 as the hawker centre is well known for long queues stemming from the other two heavy weight Bak Chor Mee stalls – Xing Ji Rou Cuo Mian and Seng Hiang Bak Chor Mee. However, the Bak Chor Mee served here is equally good with the queues much shorter. It is also the most consistent of the three. A small bit of trivia – Ah Poh is related to one of the other heavy weights – Xing Ji Rou Cuo Mian as the owners are sisters who probably share similar recipes. 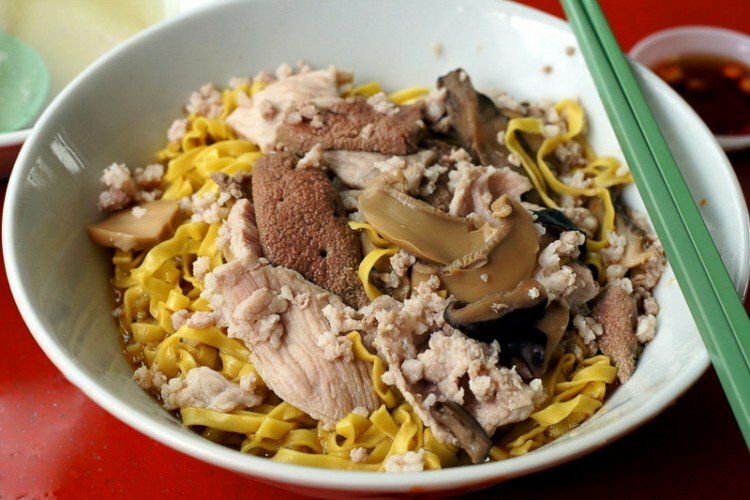 The most famous and legendary bak chor mee in Singapore to say the least. 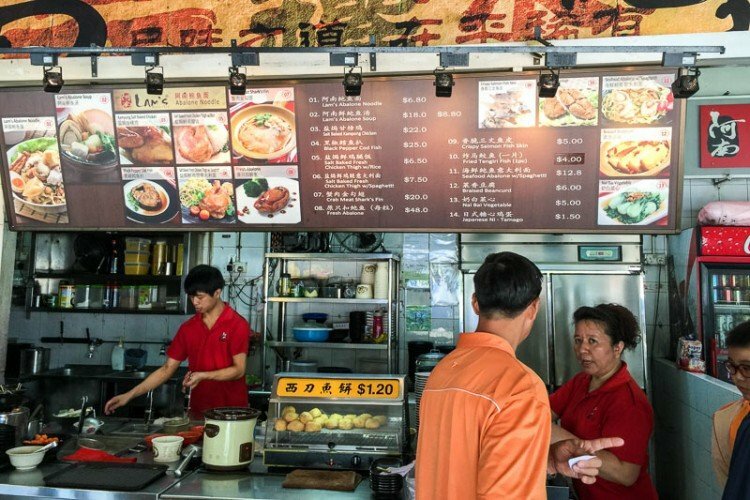 If you feel that queuing for 30 to 45 minutes over at Bedok 85 is already a chore, you should probably give this a miss as waiting times can be as long as 90 to 120 minutes during meal times. You may even see CEOs, or even the odd minister in the queue – one of the places where having status doesn’t get you ahead. Everyone still queues. I would advice going really early when they open, which might still see people da bao 10 packets per order. 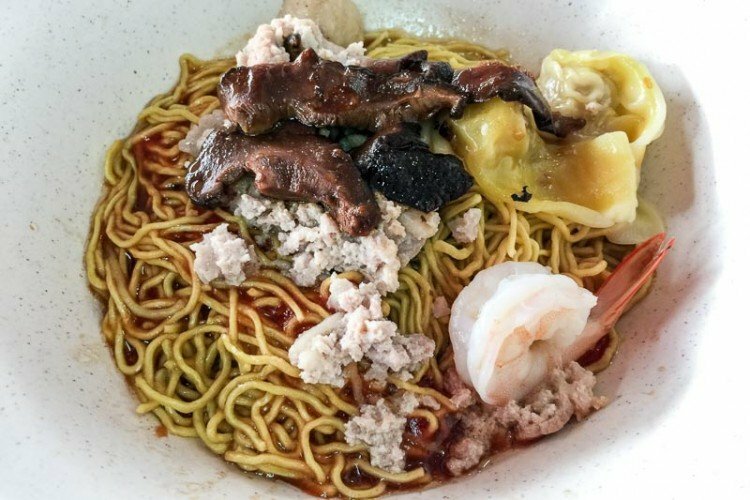 Also known as the Taman Jurong Bak Chor Mee, this stall has been operating for more than 15 years at its present location serving the “dry” version of Bak Chor Mee. The noodles tend to be a little mushy for some at this stall but the copious amounts of lard and slightly sweet chilli sauce makes up for it. 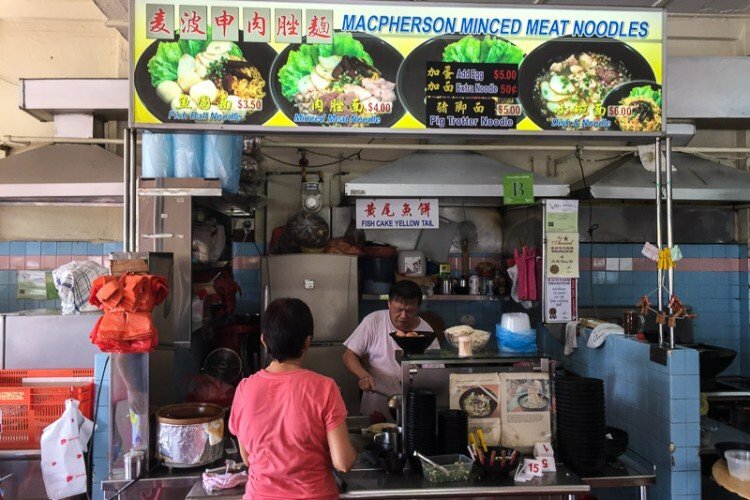 Note that this stall may sound similar in name with the “58 Minced Meat” stall along New Upper Changi Road which serves a soup-based version similar to the ones at Bedok 85 but both are not related in any way. For the purist, this is not really Bak Chor Mee since no vinegar is used but it’s still really good as a variation. Ideal for those who tend to pick the liver out of the bowls (what a waste! ), generous servings of juicy abalone cubes and scallop are also a feature that makes this stall special. 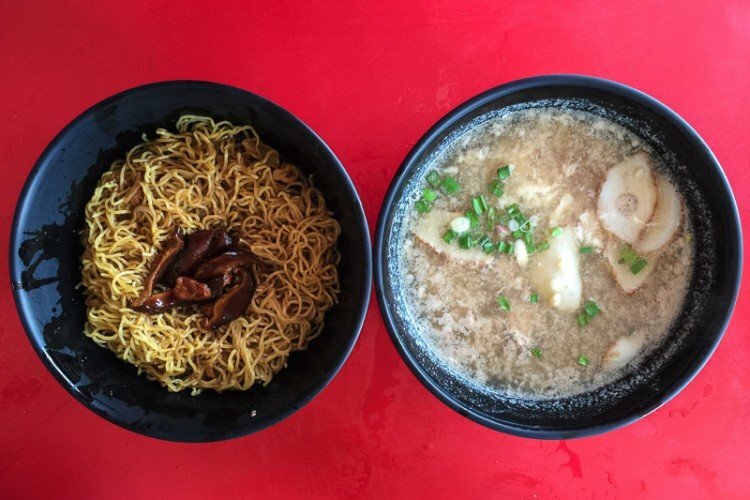 A protein rich pork broth and springy noodles make up this popular stall. Don’t be deceived by the lack of a physical queue in front of the stall as it employs a queue number system and be prepared to wait up to an hour as each portion is individually prepared. 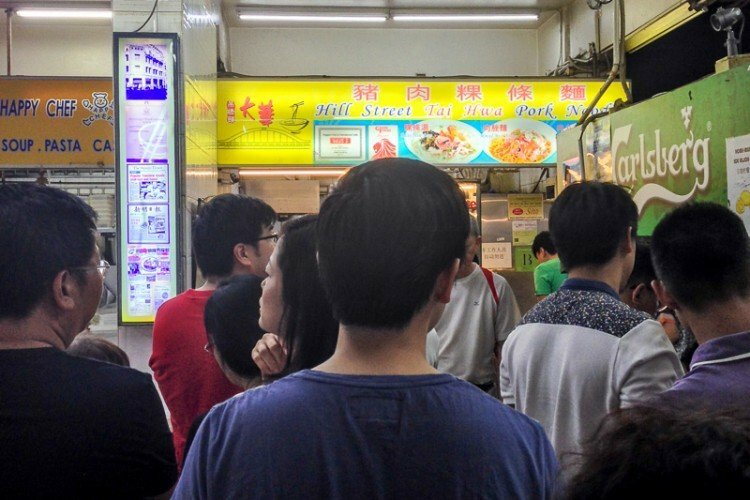 There are many Bak Chor Mee stalls in Singapore but few are open at 3am in the morning like Ming Fa when you need your fix. If Upper Thomson is too far from where you are, you can always try Seng Huat opposite Bugis Junction which also opens as a midnight supper alternative. If you like your al dente noodles drenched in vinegar, this is the place. Do note though that pig liver is substituted with prawns here. The wait is much shorter here compared to Kim Bak Chor Mee, which is just a 3 min walk away. 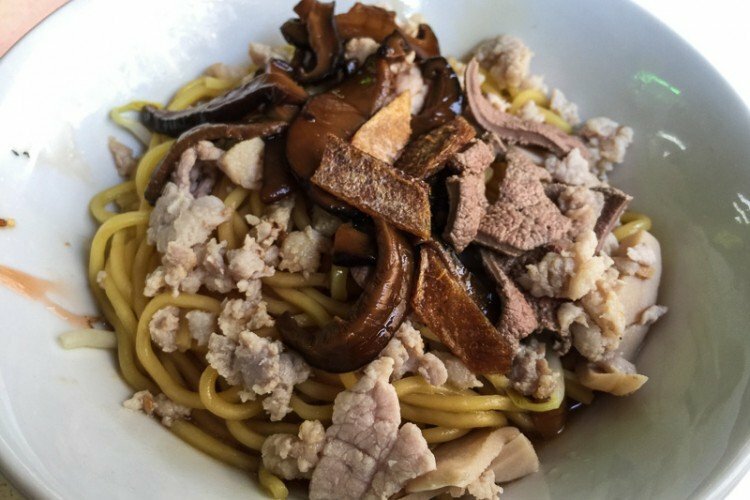 Just 3 minutes away from Noi’s mushroom noodles, Kim Bak Chor Mee sees quite long queues from 30 to 45 minutes and is well-known for their stir-fried chili, which is quite distinct from the usual normal mee chili. I would ask for more chili every time I’m there, which combined with their vinegar noodle mix is very scrumptious. 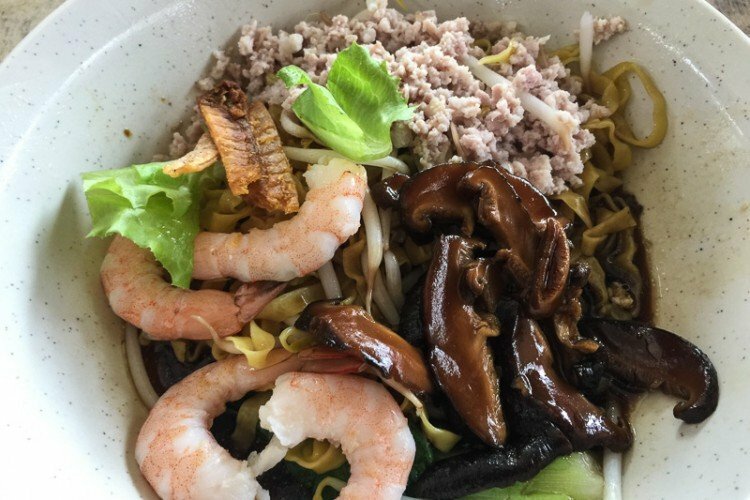 Previously located at Changi Road, Seng Kee Bak Chor Mee has been at the Serangoon Gardens Market & Food Centre for the last two years. While the Bak Chor Mee is really awesome, do consider a bowl of delicious fish maw soup as well. Simple decadent goodness. No signboard or eye-catching decorations here, this is a nameless bak chor mee stall. The only sign you will see is “self service” and the “menu”. 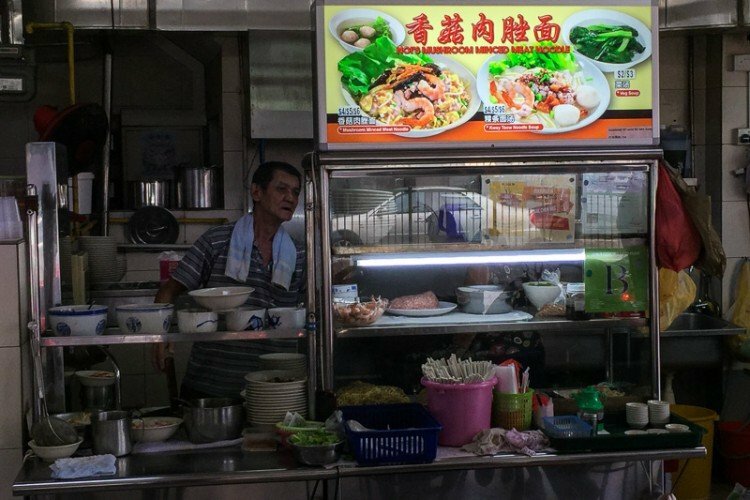 Located in the same coffee shop as Loo’s Hainanese Curry Rice, this unassuming stall serves up a mean bowl of Bak Chor Mee. So give the one in the market a miss and walk over. Be sure to enter the correct queue – people have broken down in tears after realising they were in the long Hainanese Curry Rice queue instead. 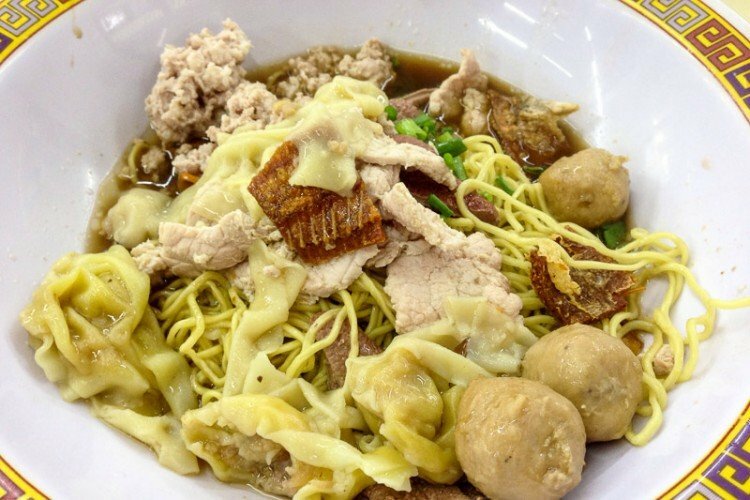 If you love your noodles be it mee pok or mee kia, do check out this stall – noodles are more springy and bouncy compared to your regular ones.. The former apprentice is now the head chef and he’s Japanese! Be wary of the queues though, they seem to have increased ten-fold ever since he was featured by the tabloids (in early Feb 2015). 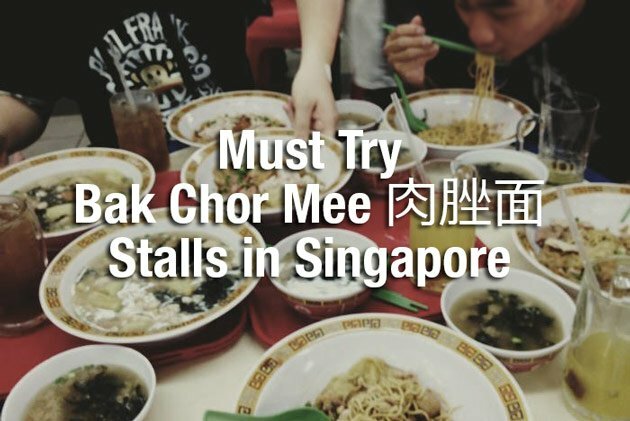 You may well disagree with me on my selection of the 12 must-try stalls since the overdose of vinegar from trying out countless of bowls of Bak Chor Mee could have affected my taste buds. Nonetheless, do share your thoughts and comments – I would be most interested to read them. Personally, I prefer to have my noodles served sans the chilli as it tends to overpower the true taste of the dish. Chilli may accentuate the overall flavours of the dish but some stalls make use of it to mask shortcomings in the quality of the ingredients. Again, feel free to offer suggestions so we might add to this list!